The new Holiday Inn, Bristol City Centre has just been installed with a fantastic array of the latest Hotel AV products on the market. There are 155 rooms in total, with 32 inch Samsung LED's installed in the standard rooms and 40 inch screens in the Executive rooms and suites. As well as having 2 LED screens, the suites also benefit from luxurious bathroom TV's. 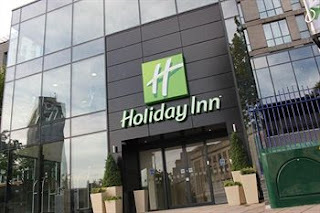 All rooms have the latest HD Teleadapt hub as well as iPod docking stations with Clock/Alarm functionality. The bar area enjoys an HD feed from SKY on all TV's, as well as the high luminosity projector. There are also two 3D LCD TV's from LG to further enhance the experience during key events. The conference area has been equipped with a professional Sharp Digital Signage Television and the entire hotel has it's own Information Channel. There are even screens in the public area restrooms and gymnasium. Gary Snell, Installations Manager at Airwave commented. "This project was quite complex, but the end result is extremely effective and user-friendly". Airwave Europe Limited, in partnership with SnapTV of Norway, are providing movies from Universal, Paramount, Dreamworks and other studios to three new Ocean Rig exploration ships, the Olympia, Mykonos and the Posiedon. On-board crews can enjoy blockbuster films when they are off duty, through the SnapTV video on demand system. The four Ocean Rigs are currently deployed off the Greenland coast and 380 crew cabins are now online. Tim Worrall - Managing Director of Airwave Europe Limited stated "when we met SnapTV at IBC in Amsterdam, we knew that they would be a great partner in the Marine sector and we look forward to supplying similar vessels within the oil industry in other parts of the world". 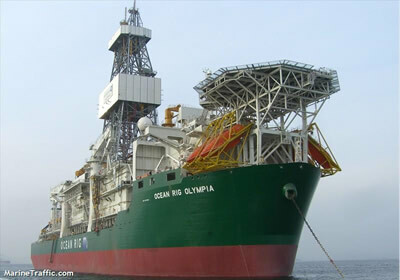 The innovative Ocean Rig ships are very efficient, as they are able to be on location for temporary exploration of oil and move quickly to find other potential oil supplies.